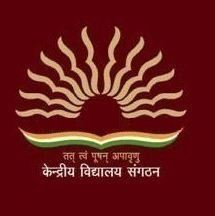 KVS Recruitment 2018: Kendriya Vidyalaya Sangathan inviting the candidates for PGTs, TGTs and PRT jobs online applications from 24th August 2018 to 13th September 2018. The interested and qualified candidates can apply for this job easily by visiting the official website www.kvsangathan.nic.in. We suggest the candidates do not miss the fantastic career opportunity in Kendriya Vidyalaya Sangathan. The clear information on Kendriya Vidyalaya Sangathan latest job notification 2018 has been furnished in the further portions. Job seeking aspirants are advised to read below the KVS Recruitment 2018 job selection process, KVS eligibility, salary, kvsangathan.nic.in age limit and application process. Moreover, aspirants stay tuned to our site freshersnow for upcoming changes in KVS Recruitment 2018 For 8339 TGT, PGT, PRT Posts. Principal (Group-A): Candidates who have completed Master Degree with 45% Marks with B.Ed and 15 Year Experience or equivalent from a recognized Institute are eligible to apply for KVS Recruitment 2018. Primary Teacher (Music) (Group-B): Aspirants who have completed 10th, 12th and Degree in Music or equivalent from a recognized Institute. Vice-Principal (Group-A): Who have possessed Master Degree with B.Ed and 5 Year Teacher Experience or equivalent from a recognized Institute or board. Candidates are advised to open the KVS Recruitment 2018 online application form. Check the details before submitting the KVS Recruitment 2018 Application Form. Take a print out of KVS 8339 Principal, Vice-Principal, Post Graduate Teachers, Trained Graduate Teachers, Librarian, Primary Teacher, Primary Teacher (Music) Jobs 2018 online application form.